A powerful story of love and loss from the beloved internationally bestselling author, Tamara McKinley, who also writes as Sunday Times bestseller Ellie Dean. For fans of Lesley Pearse and Susan Lewis. So this is Paris, she thought in awe. Spread out before her beneath a clear blue sky, it was like a precious gift after the smog and filth of London. No wonder it was called the city of love . . .
After a spiteful rumour ruins her career in London, Annabelle Blake must travel to Paris to start afresh. There she makes the acquaintance of Etienne and Henri - one a poet, the other a painter - both charming, talented and handsome. 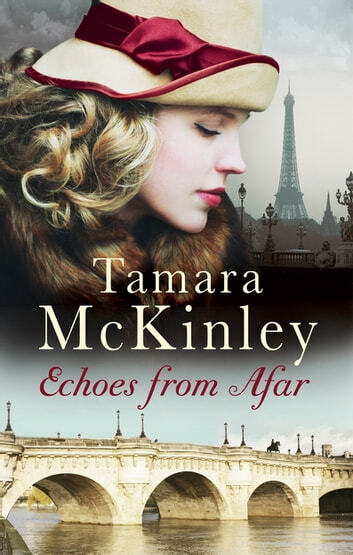 They spend their days flirting and drinking with the city's artistes and Bohemians, and soon Annabelle too is swept up in the exotic and exhilarating world of 1930s Paris. But as ever more young people are drawn to the fight against Fascism in Spain, Annabelle must wake from the dream and confront the reality of war. A lifetime later, gifted artist Eugenie Ashton falls in love with Paris the moment she sets foot outside the Gare de Lyon. Like her mother Annabelle before her, the artistic delights of the city are a bright new world to her: but Eugenie will soon find that in its shadows are hidden the secrets of her family's past. Discover Tamara McKinley's other timeless bestsellers Ocean Child and Matilda's Last Waltz.